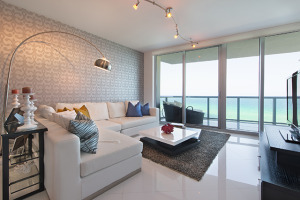 What is the reason people are heard always talking about Jade Ocean Sunny Isles? Is it only because of its smart home technologies’ installation, exciting building architecture? Its location is so fabulous that people get automatically attracted to this property. Find this Jade Beach located in one of the ideal locations in all of the South Florida, just a few steps away from the ocean! People love such locations near the beach and this being so close to many of the other places residents and vacationers alike is seen keeping this property on top of their preferences. Added advantage of this property is also its short distance from Miami and Fort Lauderdale. Apart from these reasons about people’s euphoria for Jade Ocean, you can notice an aesthetic design and appeal into this property, thanks to the architect, Carlos Ott. It is no wonder that the exterior of the building is visually stunning and its appearance is contemporary, which must compel you to turn your attention to this property, leaving all others sitting along the beach of Sunny Isles area. Potential buyers are getting to this Jade Beach quite naturally for these reasons, plus for the fact that this building offers smart home technology. Residents will have access to an in-home touch screen, allowing them to contact the valet, concierge, find places to shop, control the home’s lighting and much more. The smart home system all through the building will allow the residents to download an app to their smartphone or tablet, and also enable them to access these services even while they are away from the building. Living here in this building will give you a feel of living in the future! 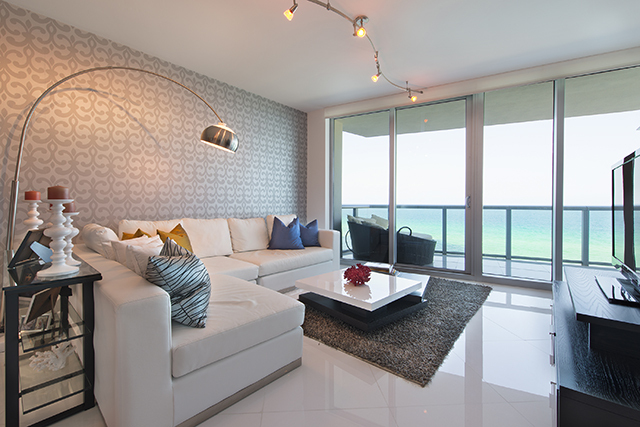 Jade Ocean Sunny Isles residences are truly stunning properties. They give all those designs which you must love, like floor to glass ceilings, along with some large terraces, offering fantastic views of the surrounding area. Get into your bathroom that can also startle you, as they feature high quality fixtures and faucets from European designers, glass kitchen cabinets, granite counter-tops, stainless steel back-splashes, and Sub-zero stainless steel kitchen appliances. There are units offering large walk-in closets, plus a washer and dryer. Jade Ocean Sunny Isles residences are synonymous with luxury, providing it at all turns for the residents of the building. Residents will get access a private beach club that includes a café and cabanas. Private dining options are available also, while also are present a state-of-the-art fitness center, and even a 24hr business center onsite. Find their community and media rooms, with their faces to the views of the pool deck and the ocean. Residents can celebrate parties and events, for which they have to reserve those common spaces in the building through their smartphone. A free app is there for the residents to be downloaded. Does an air conditioned storage facility attract you? If it’s, then this property should be your choice.